When it comes to getting a proper men’s watch, there are a few prerequisites that need to be met. It has to look good, it needs to have a rugged construction that can face any issues you might find in your day, and lastly, it needs to have an immaculate movement. 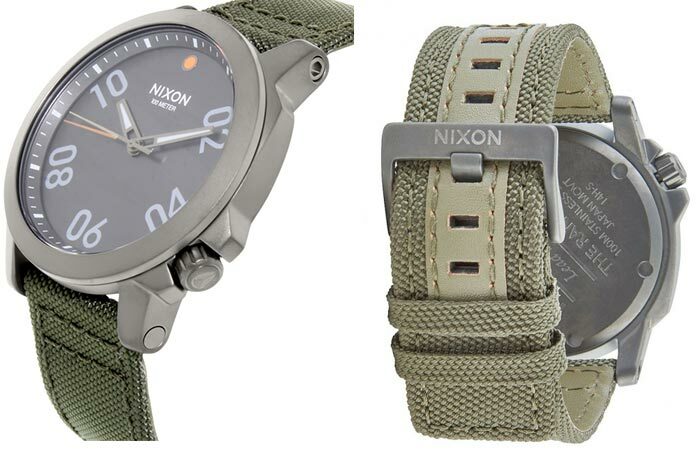 We believe that we have found that watch and it’s called the Nixon Ranger 45 Nylon. Rugged, practical and built for the outdoor man, the Nixon Ranger 45 Nylon will never let you down and show others what type of man you are. The movement is a 3-hand Miyota Japanese Quartz that is protected by a hardened mineral crystal face while the strap is constructed out of nylon for toughness with a leather backing for comfort. At first glance, the main feature of the Nixon Ranger is the fact that it has a large dial that is extremely easy to read and this is enhanced by the hardened mineral crystal that covers the dial. It’s also apt for night time viewing since the dial glows in the dark. 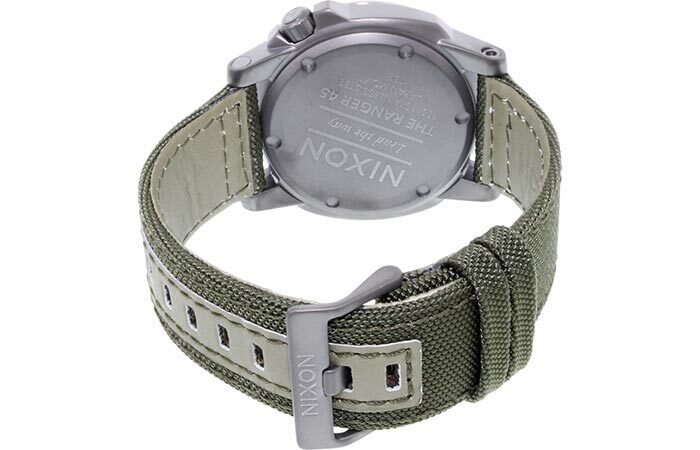 The strap is extremely tough and this was achieved by using a two material combination, Nylon and Leather for the backing, that not only gives the watch a unique look but also adds to its overall durability. The watch is submersible up to 100 meters and it’s protected by a super tough stainless steel housing that will never tarnish. The time movement is a top of the range 3-hand Miyota Japanese Quartz that will ensure that you never miss a single second and the movement is protected by stainless steel housing that will never tarnish. Since this is a watch built for the rugged outdoorsman, you’ll be pleased to know that the Nixon Ranger is waterproof and submersible to depths of up to 100 meters. Considering these characteristics, it’s no wonder that this watch currently has a 4.9 star review out of 5 stars from 5 different customers.